An Awesome blend of rock, country, blues sounds along with some pop and alternative mixed in. Ridiculas Trixx band was formed 2015 by Kelly Bliss -Manager, Multi-instrumentalist, songwriter, and sound engineer. Kelly was looking for a certain sound for his tracks and needed someone to not only sing them, but also help write lyrics to them. He searched for over a year, to finally get “the ONE” he had been waiting for. After coming to Kansas for an audition, Ronneca Lynn moved to Oswego, Kansas leaving her hometown in Ohio, to give her all, with Kelly to this band. Ridiculas Trixx just added to our family/band Eduardo Pratti (originally from Brazil) , residing currently in Florida and will be relocating to Kansas to be with us to be our Lead guitarist! Eduardo Pratti has many years experience playing guitar/composing/songwriting and so much more! We WELCOME ALL to our family/band! 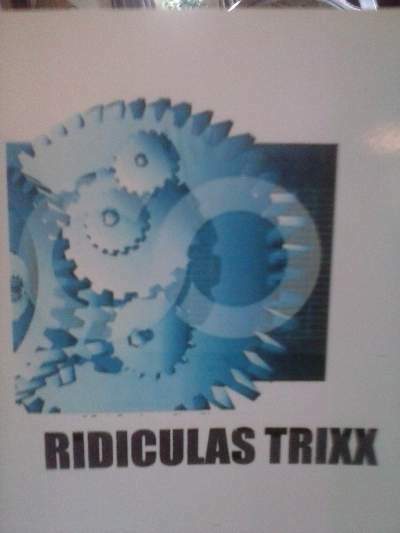 Ridiculas Trixx is sure to please all ages and inspire many with blending genres and cool lyrics. We hope to make you rock, dance, feel our music, and be inspired taking our audience/fans to a whole new level.